WUSC is a network of individuals and post-secondary institutions who believe that all peoples are entitled to the knowledge and skills necessary to contribute to a more equitable world. WUSC is unique among development organizations in their ability to link Canada's colleges and universities with their overseas activities. WUSC’s mission is to foster human development and global understanding through education and training. Their projects take place in the Balkans, Botswana, Burkina Faso, Ghana, Haiti, Malawi, Peru, Sri Lanka, and Vietnam. Are you (or do you know) a high school teacher interested in hosting a storytelling workshop for your students?We’re looking for classrooms who want to host these workshops between Feb 2-9 Continue reading. Short Documentary “Educators for Solidarity” | Watch free now! About the film: In the summer of 2017, eight soon-to-be teachers from Saskatchewan embarked on a global journey to learn the importance of building relationships, experience what it means to act in solidarity, and begin to understand our shared global challenges Continue reading. 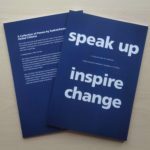 A Collection of Poems from Saskatchewan’s Global Citizens SCIC is excited to announce that we have produced a booklet of all of the poems from the LookDeeper poetry campaign. You … Continue reading. 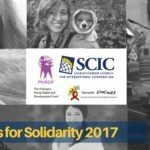 SCIC is excited to announce the team of 8 participants and 6 advisors for Educators for Solidarity Initiative! Educators for Solidarity is an opportunity for Saskatchewan post-secondary education students to see first-hand the work of SCIC’s member agencies on the ground, to learn about international development … Continue reading. Registration opens June 1st for the 8th Annual Generating Momentum Youth Leadership Training Camp, Aug 24-27, 2017 at Camp Easter Seal, Manitou Beach, SK. Generating Momentum is a 4-day, retreat-style summer leadership … Continue reading. 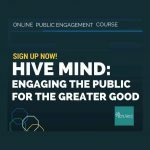 Hive Mind is a new, free online course on best practices for public engagement using practical tools, case studies and resources found in the Global Hive: Tools for … Continue reading. Look for us at your annual teachers’ convention! 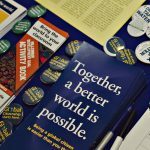 SCIC often attends teacher conventions to meet with educators, provide information on our programs and free resources, and whenever possible facilitate sessions on topics related to Global Citizenship Education. Watch for us at the following conventions, or watch the Professional Development … Continue reading.